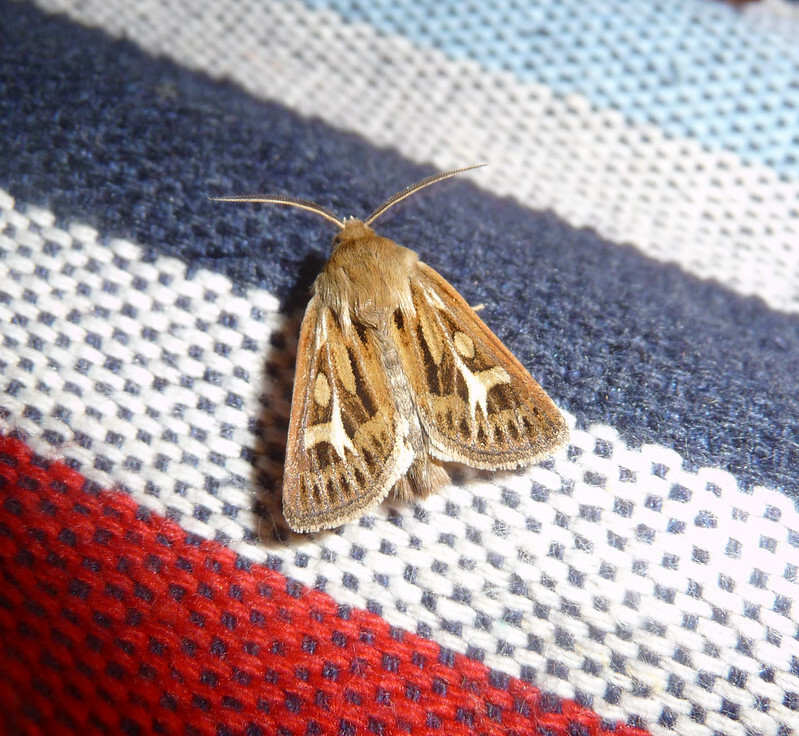 One thing we noticed this year on Mull were the sheer number and variety of moths flying both day and night, especially those which had a fascination with my head once I'd gone to bed. Most noticeable of course were the day flyers with Six-spot Burnets being far and away the commonest species along grassy coastal areas. 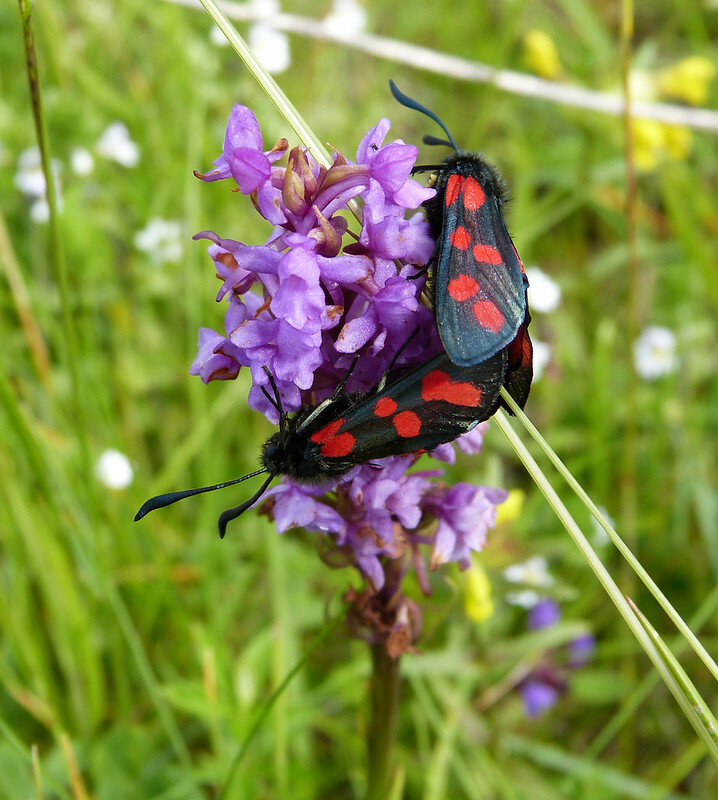 The mating pair above were found near Treshnish Farm which is a haven for wildlife thanks to careful management and conservation. 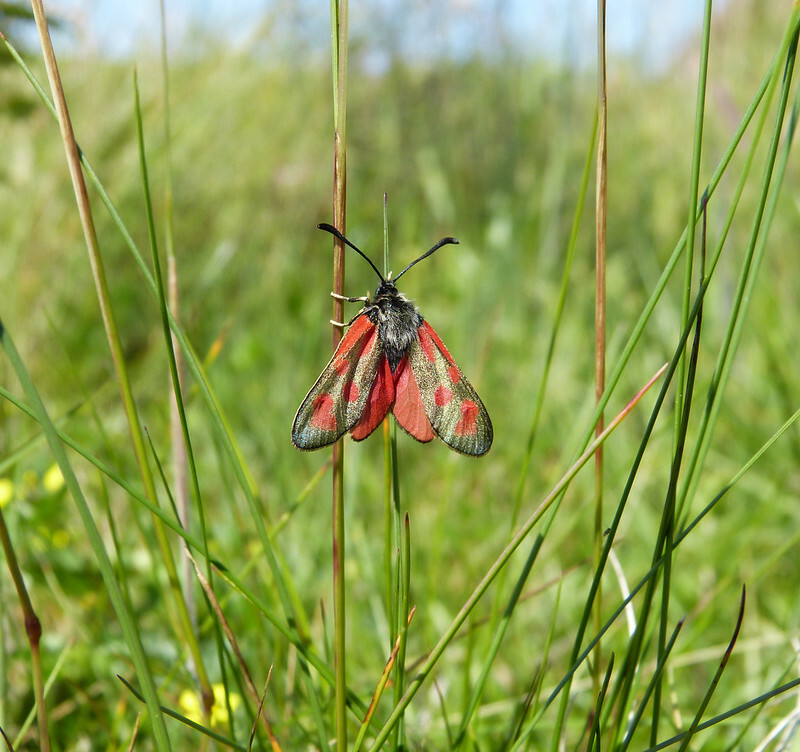 What I really wanted to see though was the much rarer Slender Scotch Burnet so I was very pleased to find this pristine individual in the meadow behind Langamull beach. 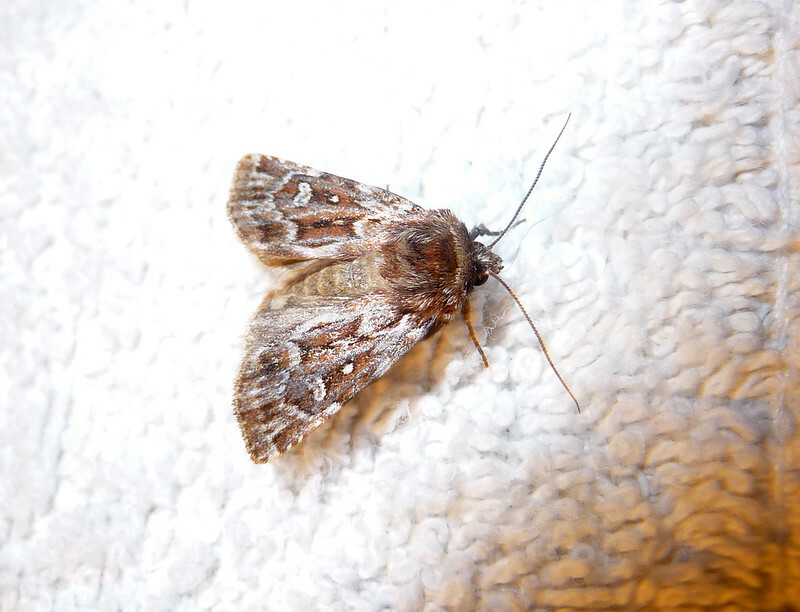 Almost beating it for impact however were a trio of completely black moths in the same area. 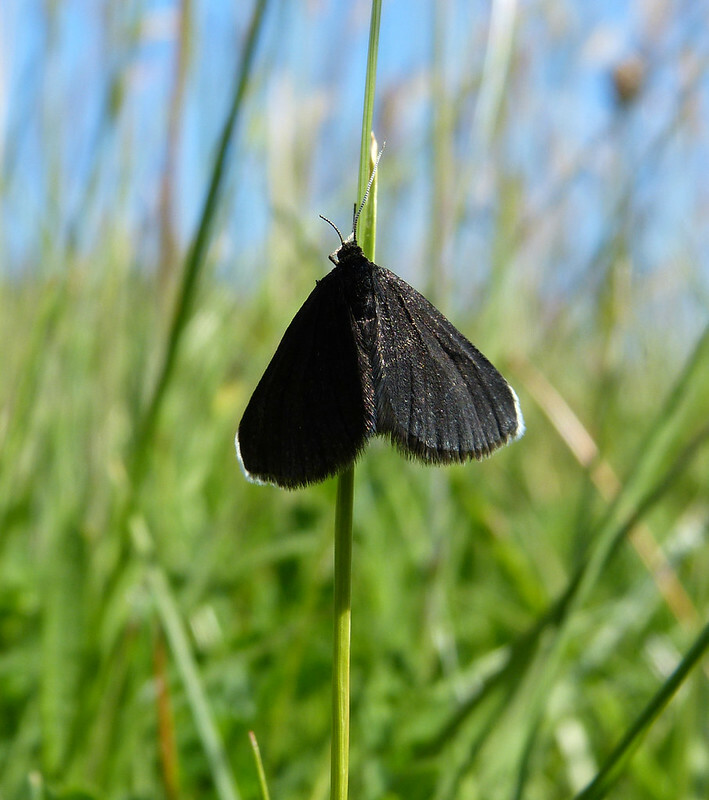 A quick check of the reference books has them identified as Chimney Sweepers, which to be honest is one of the best moth names I've yet to come across. 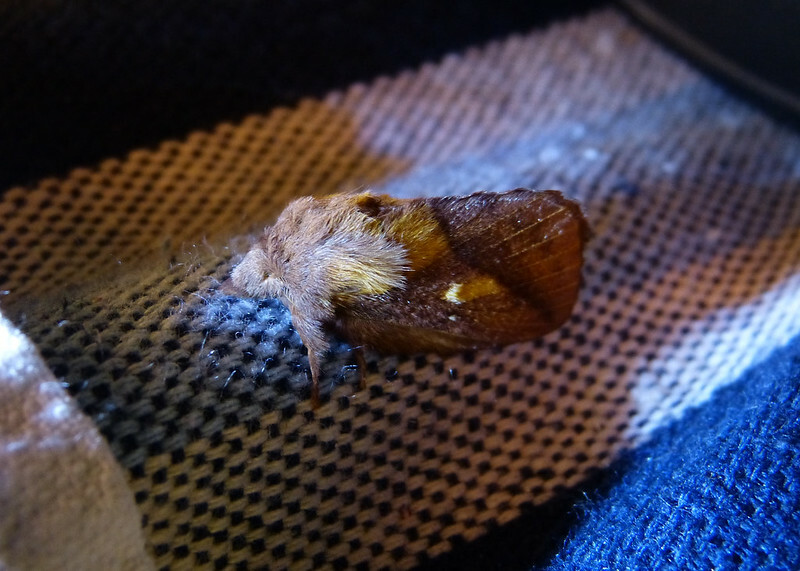 With such abundance it was a shame that I hadn't taken my moth trap up to the island but alas, space was at a premium and apparently clothes and food were more important. 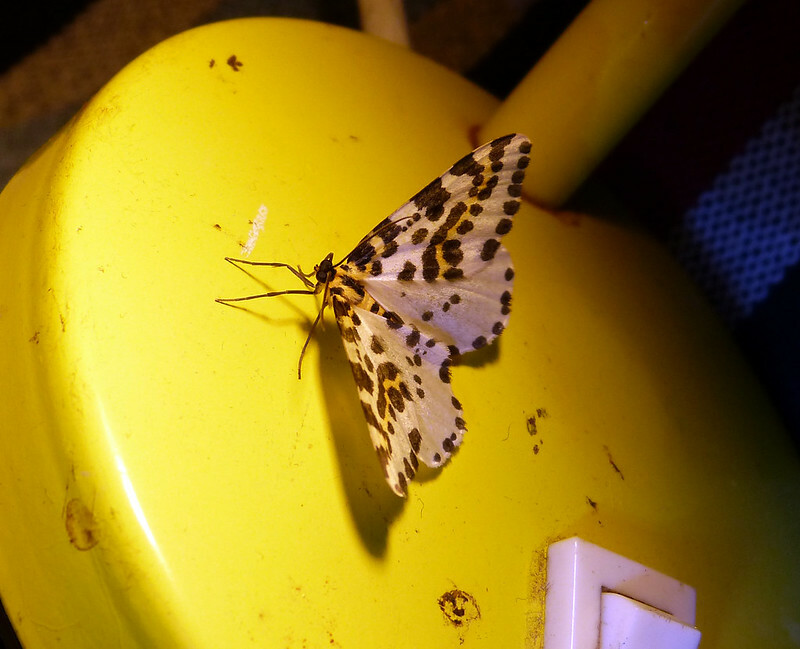 On our last evening though I happened to mention that I'd love to see a Magpie Moth mere moments before one fluttered right past the window. After wishing for something far more adventurous and seemingly having lost my powers we nipped out to try and grab a photo. Following much running around we had to admit defeat before a flash of inspiration struck. 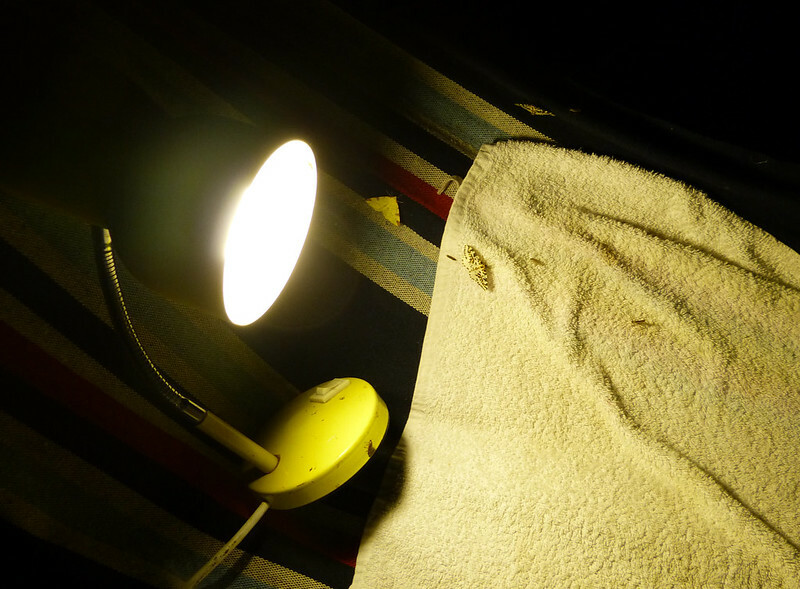 Why not use the old fashioned method of attracting moths using a white sheet and lamp? For a while the going was pretty quiet but about an hour after sunset we started to see some action. To my relief a Magpie Moth was first on the scene and it easily lived up expectations, quickly followed by a second and then a third. From seeing none all holiday we now seemed to be inundated thanks I believe to a large emergence of the species on that very day. 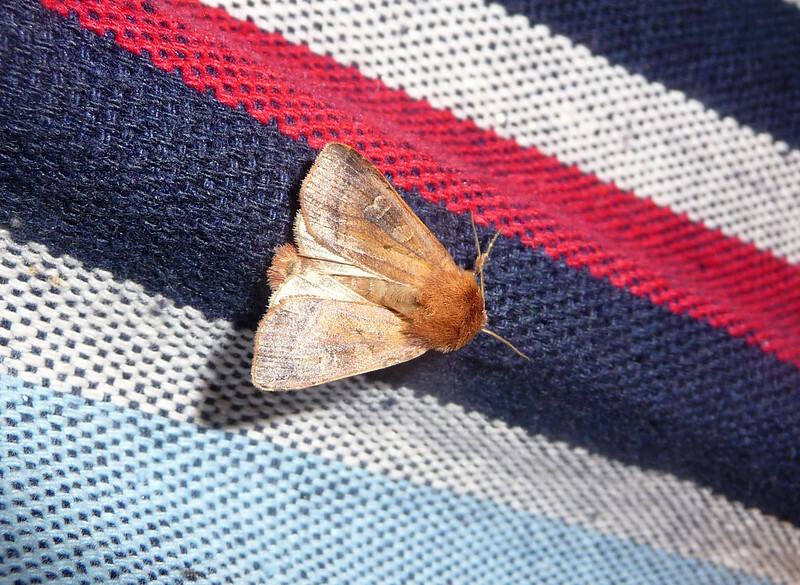 This theory seems to corroborate with similar reports from a couple of valleys across where reports speak of "clouds of moths" while walking through fields. Talk about good timing. 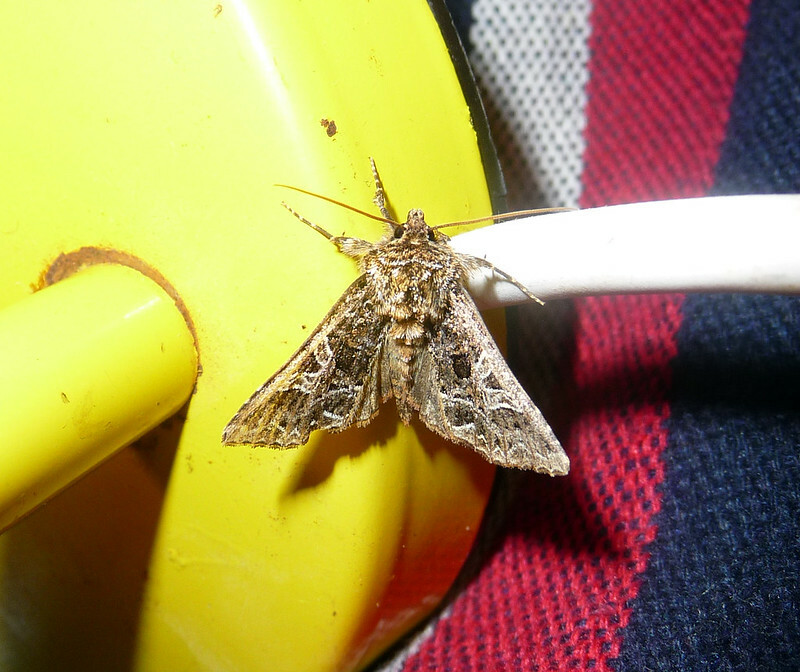 Next up was a Drinker Moth which arrived with a clatter and set about bashing into the bulb, walls and even us (they're surprisingly heavy!). 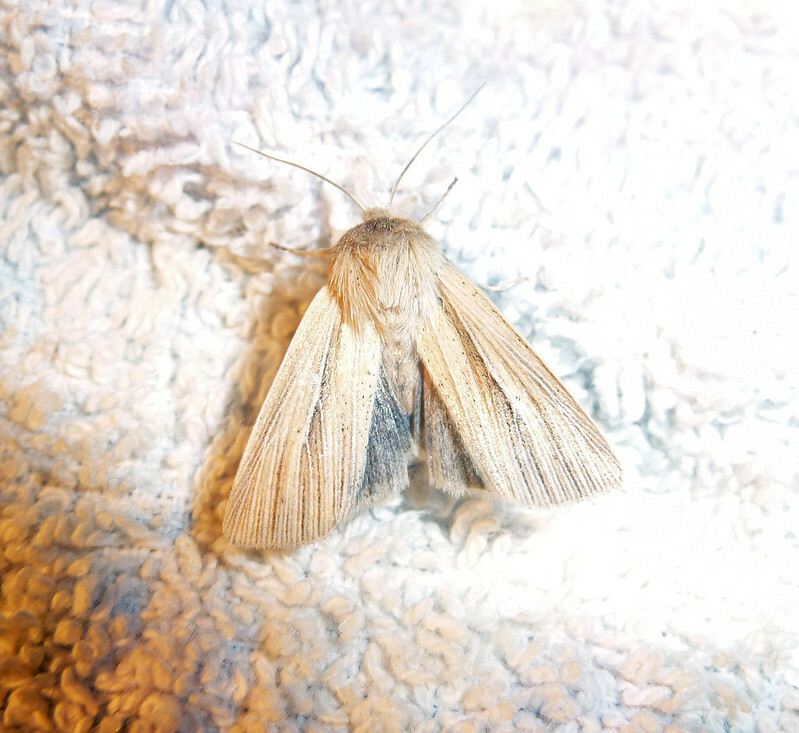 When it did finally settle down I managed to get a decent photo of what was to be our biggest species of the night. 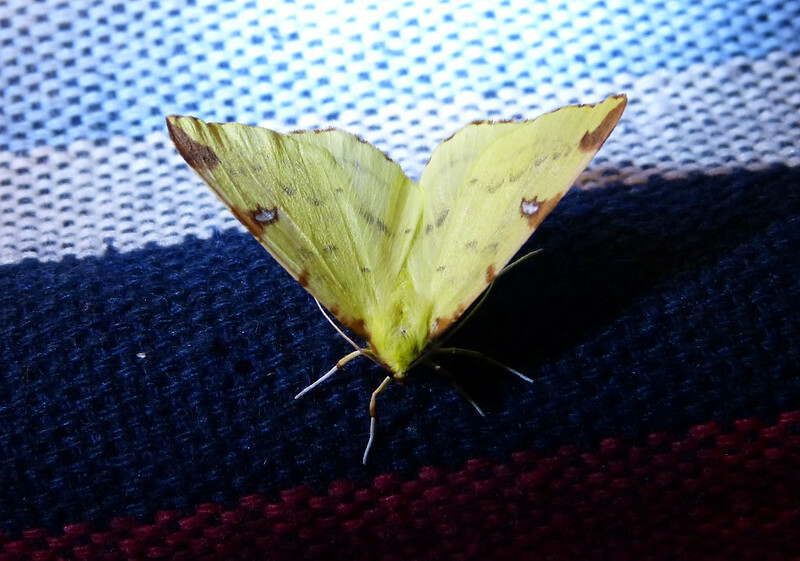 Having seen plenty of their caterpillars previously it was nice to finally find an adult. The following two hours were filled with more comings and goings than we had chance to record at times, but in the end we identified at least ten species which I consider a pretty good haul considering our basic equipment. Photography was unsurprisingly quite tricky but between us we managed to capture the majority on camera. Looking at that little lot you can probably guess that the moth trap will in future be an essential piece of kit when we head to Mull. fabulous photos/close-ups; such a variety! Fantastic images Adam... wonderful to see. I particularly like those Chimney Sweepers ... must look up and find out more!